There are 2194 brick kiln factories in Nepal. Women working in the kilns are currently working 16/17 hours per day, 6 days a week. The kilns are scattered across Nepal, with many of the kiln factories situated in the extreme heat of the Terai region, the southern plains bordering India. Families work in the kilns on a seasonal basis in forced bonded labour, 70% of the workers are Nepali with others coming over the border from India. 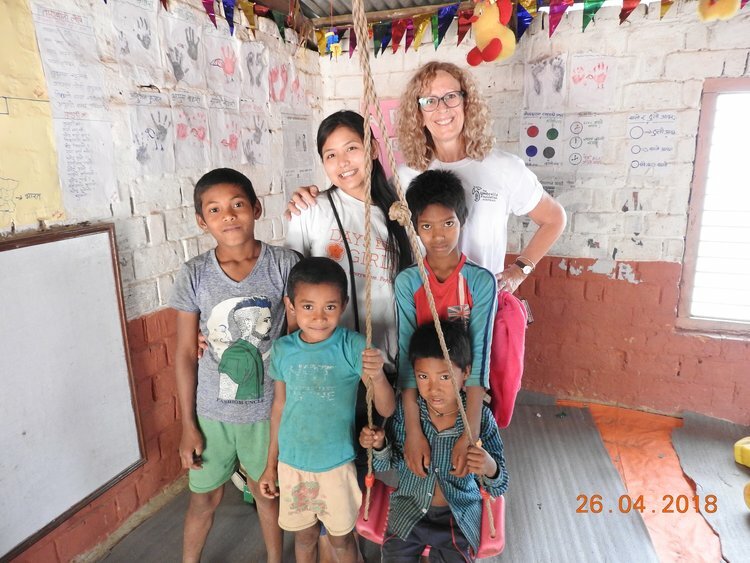 TUFA has since 2013 developed a relationship with Days for Girls (DFG) International and established our rural DFG program in Gatlang, Rasuwa, Nepal (destroyed in the 2015 earthquake). TUFA are currently supporting the DFG Nepal Chaunni Enterprise Team, located in the Kathmandu Valley where our team of ladies are sewing washable menstruation pads for girls & women who have very limited access to feminine hygiene health. Acknowledging the harsh & extreme conditions the women working in Kiln Factories are enduring TUFA are currently (June 2018) establishing an independent program with Better Brick - Nepal to support the health & hygiene of these women working in bonded labour. Whilst the women of the kilns health & hygiene program is independent of the Better Brick - Nepal bridging schools, TUFA rely on Better Brick - Nepal to organise our visits to the kilns to undertake health & hygiene education with the women at the kiln factories. The programs occur twice per year when Australian board members are in Nepal with training presented by our Nepal Day's For Girls trainer, Pramila. On Thursday, 26th April, 2018 TUFA board members Linda Harwood & Tracey Elliott were accompanied by Anjana Malla from Days For Girls Nepal to undertake a pilot ambassador of women health training and menstruation kit distribution program with the women working at the Siddhartha Kiln Factory in Barahathawa, Lumbini. - Raise awareness & the importance of menstrual hygiene practices as well as general hygiene practices. - Distribute DFG washable menstruation kits to all participants. - Data collection and other site contact information. The training program was targeted at women who are working the in the kiln factory. 50 women attended with a further 20 unable to leave their work. The women were very shy with the majority being mothers of young children. At first the participants were not interactive and it took a lot of work from Anjana (trainer) to gain confidence. By the end of the program the women were openly speaking of social and health issues that impacted their lives. - The majority of women do not know how a baby is made with many being told by their husband's it is a punishment! - The majority of women in attendance cannot read, write or count ... a major issue if you are paid by the number of bricks you make or carry. Our amazing board member Tracey shared her thoughts after her visit to the brick kiln factory....to say she was emotional from the experience is an understatement.